'Surf Craft' runs through Sept. 25 at 551 Broadway, Sonoma. 707.939.7862. SeaPeople is up through Aug. 14 at 48 Wharf Road, Bolinas. 415.868.0330. To most eyes, the surfboard is an unremarkable inanimate object, a buoyant plank used for sliding down the face of a wave. But that simple, minimalist design contains worlds of complexity and stories if you care to look. Richard Kenvin cares to look. Surf Craft: The Art and Design of Board Riding just opened at the Sonoma Valley Museum of Art. The show, which features a world-class collection of surfboards and wave-riding devices that span the 1940s to 1970s, reveals the hidden genealogy of modern surfboard design. For surfers, it's the equivalent of a history buff being able to see and touch a Wright brothers' plane or a baseball fan getting to hold a bat Ty Cobb used. It's like opening a vault to the past, but with signposts that point to the future. The exhibit also features a great lineup of speakers and workshops on board design and surfing from some of the sports superstars. And while the show is a feast for surfers with an interest in the roots of their sport, the appeal is much broader. The boards that hang on the wall are crafted for the function of surfing, but the forms are elegant and simple, with flowing lines and carefully turned edges and rails. "People don't think of surfboards as art, but some of them are positively beautiful," says museum executive director Linda Cano. "The appeal for me is that surfboards are so accessible, and part of our goal [at the museum] is to broaden our demographic." With a film, hands-on demonstrations, lectures and the boards themselves, the show defies notions of what makes for a museum exhibit, Cano says. That mix of form, function and beauty lies at the heart of Kenvin's exploration of the surfboard's DNA. He has merged his study of surfboard pioneer Bob Simmons with a fascination for a Japanese philosophy called mingei, which translates as "art of the people." 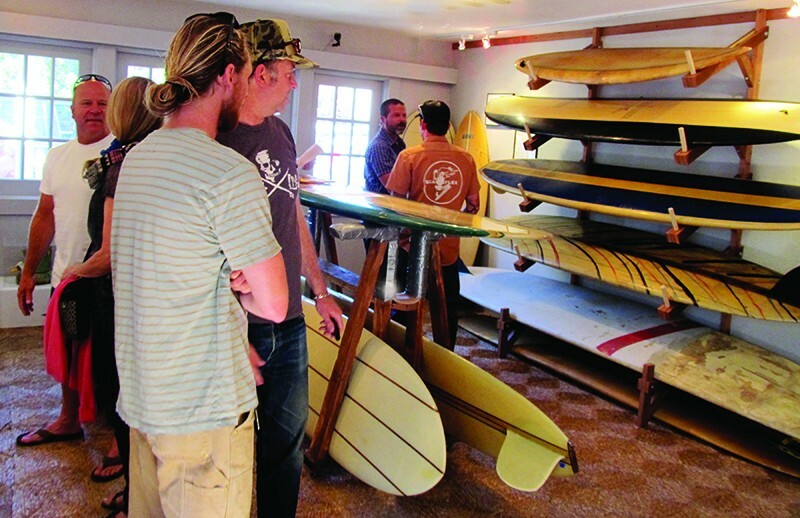 The first Surf Craft exhibit was at the Mingei International Museum in San Diego in 2012. It was through that show, and the book The Unknown Craftsman by Soetsu Yanagi which he picked up in the museum gift shop, that Kenvin discovered that the seemingly simple but complex surfboard designs of Simmons married well with the aesthetic vision of mingei and Yanagi. Surfboards of the pre-commercial 1940s to 1970s era are utilitarian works of beauty and what Kenvin calls "complex minimalism" embodied in mingei. In his book Surf Craft, written to accompany the exhibit, Kenvin explains Yanagi's design standard: "Handcrafts are revered as a sacred facet of human life, but they also serve as the starting point for good design, the best defense against the potentially dehumanizing effects of mass production." As Kenvin, a soft-spoken man with thick glasses and a surfer drawl, went deeper down the rabbit hole of surfboard history, he discovered ancient Polynesian surfboard designs, the genesis of all modern surfboards, could also be seen through the mingei lens. BOARD ROOM Visitors to the Bolinas Museum check out vintage surfboards in a recreation of the Bolinas Surf Shop. 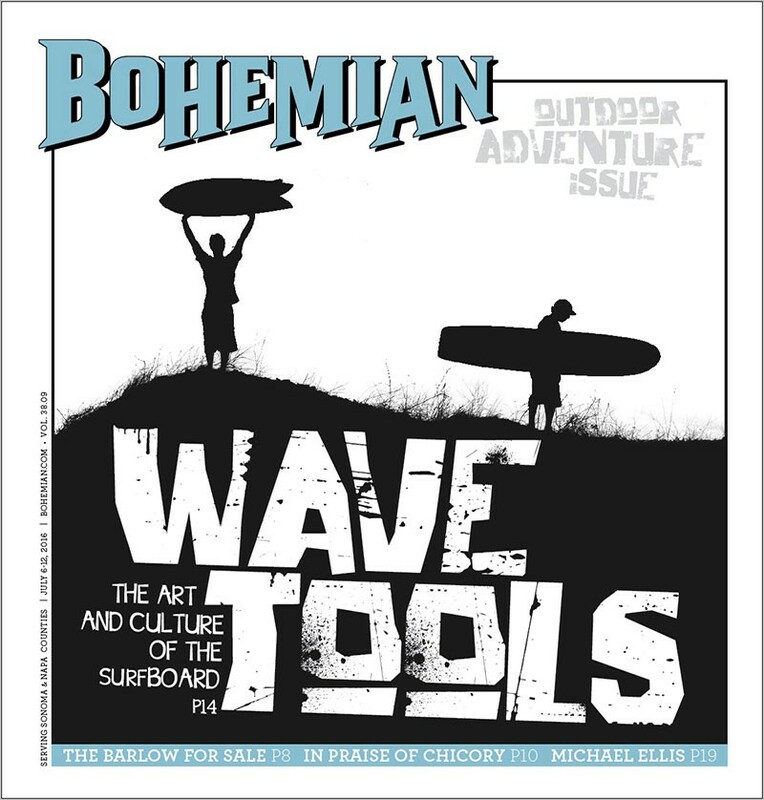 "All significant board designs of the modern era bear an ancestral link to one or more of these traditional boards," he writes in Surf Craft. "In many cases, the historic boards contain design secrets that modern surfboard designers are only now beginning to understand." Simmons may or may not have been aware of Polynesian board design, but his boards have proved to be a revelation for modern surfboard shapers and surfers like Kenvin. The progression that grew from Simmons has echoes of other utilitarian works of beauty like the flowing lines of furniture designer (and Simmons contemporary) Charles Eames. "To me it has universal appeal," Kenvin says as he walks around the museum barefoot, working to ready the space for the July 2 opening. "I hope people get a different perspective on surfboards and surfboard design." Simmons is credited with pioneering modern surfboard design through his blunt-tailed "planning hulls." He died in a surfing accident in San Diego in 1954 at age 35, but left a legacy of innovation that drew on a careful study of mathematics, hydrodynamics and aeronautics. "There was no precedent for what he was doing," Kenvin says.